to actually make any of these appear even slightly “awesome” in this film. 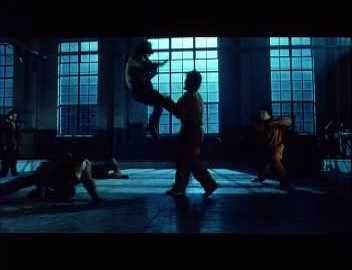 The movie apparently had a decent budget, but they really should have spent some of that on a decent fight choreographer, a decent music consultant, and a decent dance choreographer. Fun Fact: The dance choreographer they hired was called Director of Dance: Ice Cream. OK, I can see what he's trying to do, with that “hip hop name” and all. But, no. That's a bad miss. 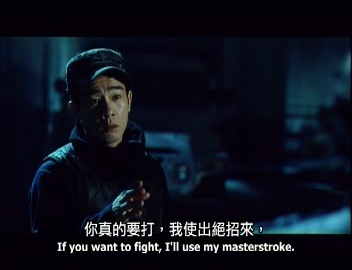 If this movie had been made by Stephen Chow, I bet it would have been really, really good. It's not. 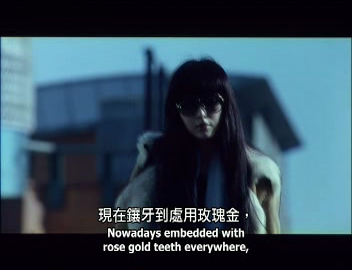 But, from the Gweilo's perspective, it's still quite amusing all the same. It's just that most of the fun of watching Kung Fu Hip Hop comes from seeing what the director hopes will be “awesome”, but isn’t even close. I'll call my dentist now! Do you want proof that what director Fu Huayang thinks is amazing is actually only "amazing"? I'll give you proof! 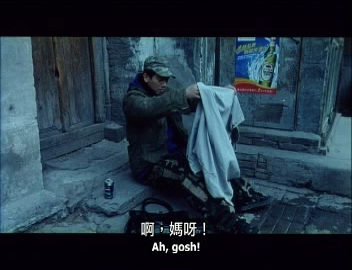 The hero of the film is a down-and-out drunken bum who has a lot of problems. It turns out, because he's from the streets, he's an “awesome” hip hop dancer, and an “awesome” rapper! "Ah, gosh!" The bum despairs at his empty bindle. Hint: If you have to tell your viewers that she's awesome, then maybe she isn't! Meanwhile, the drunken bum starts to go into convulsions in the alley behind the club. It looks like he's going to throw up. The rent-a-cops in the club notice the bum's spastic seizures on their security cameras, but unbelievably they all decide that his jerking around is actually some kind of really awesome hip hop dancing. They get so excited watching the bum “dance” that they wreck the keyboard on their security system, which somehow malfunctions and projects our “dancing” hero up onto the big screen inside the club. Everyone present stops their own dancing in utter amazement, and all agree that the drunken bum is doing “amazing” “hip hop” “dancing”. SPOILER: HE ISN'T! HE REALLY, REALLY ISN'T. I guarantee this is the most inadvertently funny “awesome dancing” scene you will ever see in any movie, ever. A little later, DJ Tina runs into this same bum on the street, selling cheap imitations of name brand merchandise. And “rapping”. Oh yes! His “rapping” is so unbelievably “amazing” that, like Tina, we viewers are all supposed to be extremely impressed and blown away. The drunken bum amazes again, this time with "awesome" rapping. Watch these clips and you will see exactly why this movie is so amusing, and why it provides such amazingly good MST3K material, from the Gweilo's perspective. By the way, the drunken bum hero's name is "Chu Dong." Yes, Chu Dong! But, you know what? I don't even have to go there. His rapping and dancing are hilarious enough all by themselves. you should probably get out of the way! As I mentioned, drunken hero bum Chu Dong has various problems he needs to solve, like a blind sister who needs expensive surgery. Fortunately, there’s a hip hop dancing contest coming up in Beijing with a million dollar prize! Unfortunately, Chu Dong refuses to do it, and stays reluctant at every turn. No, no, says Dong. I will never dance again! 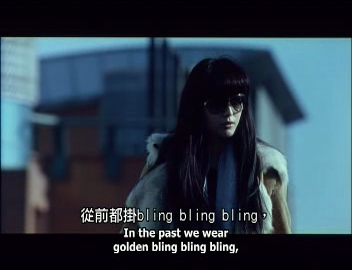 The reluctant hero is a common enough plot strategy in Chinese movies. But to make the reluctant hero plot device work, there needs to be some kind of tragic happening in the hero's past. Maybe Dong's “awesome” dancing killed a bunch of nuns and baby seals long ago, so he vowed to never dance again. 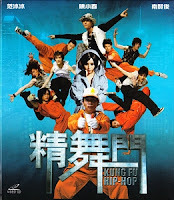 In Kung Fu Hip Hop, Chu Dong acts like he’s made this vow, but just like actual kung fu and actual hip hop dancing, Fu Huayang left this crucial bit—the reason why—out of the film. Can you make out what's going on in this fight? This all leads up to a very long final competition scene that is one of the most self aggrandizing and self indulgent things I've ever seen in a movie. We get a full half an hour of fans screaming at all this “amazing” hip hop dancing. The director then takes us far and wide, showing increasing numbers of fans all across China, from babies to old grandmothers, tuning in to watch this very important competition on TV, and being thoroughly and totally “amazed” by the “amazing” “amazingness” of it all. Bottom Line of this Chinese Movie Review: Not awesome. Not even slightly. But "awesome" enough to be a lot of fun. Recommended! You know they came out with a part 2? Wow, that's pretty remarkable. The first one had enough of a fan base that they decided to go ahead and make a sequel? !